When one thinks of cigars, what instantly comes to mind is luxury, finesse, fine crafted brilliance all rolled into one. Those hand rolled bundles of the finest tobacco which can accentuate the American dream, that’s how Aging Room cigars advertise themselves. They pride themselves in producing cigars not just for anyone; they produce them for those with a keen eye, refined taste. The owners of aging room believe that they produce cigars for “the educated who are looking for character and complexity”. In many ways, Boutique Blends, the parent company believes that they are symbolic of the American dream. Much like the dream, hard work and grit has brought them where they are right now. So, they intend to serve gentleman who have survived the currents like them or are looking for something as strong as themselves. But, what is so interesting about Aging Room cigars that make the brand stand out so much in terms of other cigars or cigar brands in the market? What makes their cigars so unique and so brilliant? There are varied notions about what the secret of success behind their range of products such as the Aging Room Small Batch Quattro F55 etc. is, but we believe it is their un-doubtable craftsmanship. They are a company dedicated to manufacturing small batch cigars. Not only because they believe in exclusivity but because their blends are unique, hand-crafted only for a few. 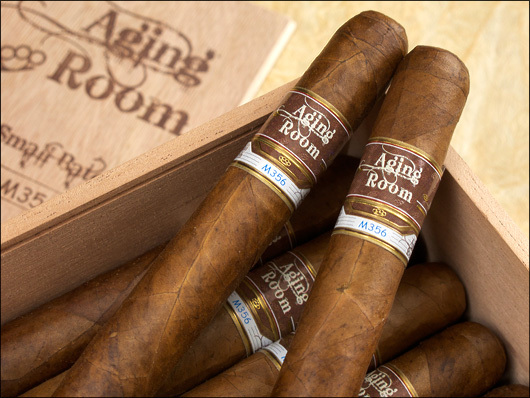 In competing with the bigger cigar brands, Aging room cigars have tried hard to maintain their own identity by introducing limited quantities of their innovative blends. Almost all of their cigars are made in three shapes with its body composition designed to match the mellow or strong taste respectively. 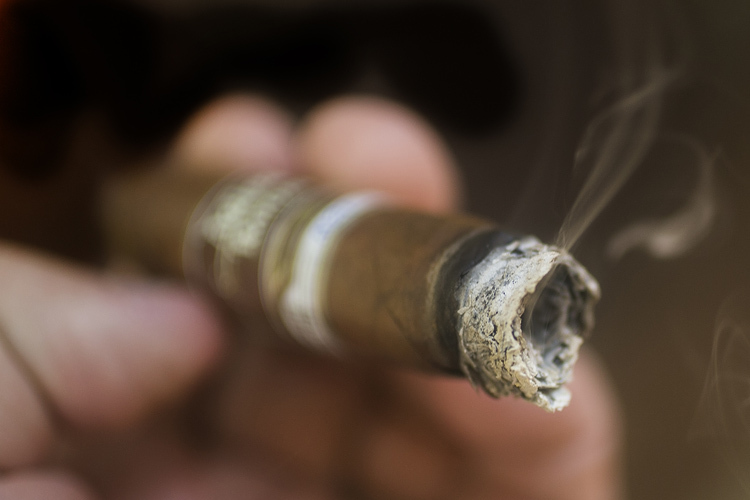 They believe in how the rolling of a cigar can make or break the fragrance, the effect. Each shape is named after a musical note and promise to offer you excellent aroma and a creamy aftertaste. Complexity of taste- From mild to strong, there are all sorts of complex notes of taste and fragrance in each Aging room cigar. It has its own unique Dominican Habanos taste as well as the varied blend of Cuban tobacco seeds blended together with spices, aromatics etc. to give it a rich, creamy after taste. The Ecuadorian habano leaf when put together with special Cuban seeds aged for more than two decades lends a very distinct oaky or nutty taste to the cigar. Further, when you draw it in, you feel the rich, creamy texture of the cigar flow through and what is best about their cigar is that lack of experience in smoking does not deter the taste. The wrappers- Ranked No. 1 in the American cigar business for a long time, their box pressed, exquisite collection is just what the name suggests, aged. The wrappers both oiled as well as aged range from a varied as Nicaraguan spicy maduro wrapper to a fermented Ecuadorian or Dominican habano leaf wrapper. We know that wrappers are what lends the products its taste and so, it is important that the wrappers themselves add to the complexity of the cigar. The aged tobacco put together with the adequately aged leafs give the blend its rush. Cigars are meant to be exclusive, valued and what Aging room cigars promise is just that. Their goal is to be a metaphor for the American dream, perseverance partnered with exclusivity. You can buy Aging room and more such beautiful cigar brands through websites such as Mike’s Cigars, dedicated to bringing you premium tobacco products.